To play with a full deck -- play Bridge! "Ten Weeks to Basic Bridge" starts Wednesday, April 3, 2019. In this lesson series, you'll learn Bridge from the ground up using Standard American bidding. This fast-paced series appeals to those with no previous cardplaying experience, as well as players who want to get back into the game using modern methods. When you complete this series, you will be ready to play Bridge in social games and in introductory Duplicate games. Seattle Bridge Center offers a Rookie Duplicate game on Tuesday evenings. No partner needed -- you'll meet several new players along the way. Lesson fees are collected on a pay-as-you-go basis. You can stop or return at any time. The cost is $10 per person per week, with discounts for players age 25 and under. Classes are held at Seattle Bridge Center, 1539 NE 145th St, Seattle 98125. We are a half mile east of Interstate 5 at Exit 175 for NE 145th Street and share a parking lot with the QFC supermarket and Dollar Tree store on the southeast corner of 15th Ave NE and NE 145th St. If you are facing the entrance to the Dollar Tree store, turn to your right and you will be facing our front door. We have plenty of free parking. This series begins Wednesday, April 3, 2019 and meets on 10 Wednesday evenings through June 12, 2019. There is no class on May 29. Each class begins at 7pm and runs until 9:30pm. We start right at 7pm to make the best use of your time. Our doors are usually open no later than 6:45pm. Light snacks are provided. Please let us know if you're planning to attend, so we can be sure to prepare enough copies of the lesson materials. Send an email to SeattleBridgeCenter@gmail.com to sign up for the lesson series. 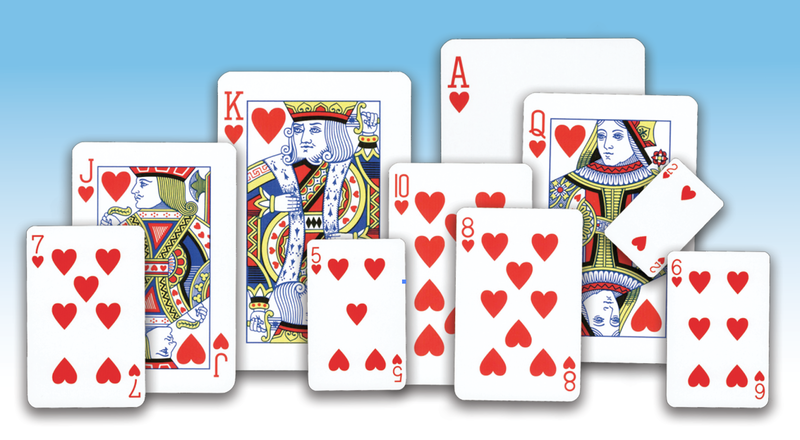 If you'd like to watch a game of Duplicate Bridge live and in person, please join us Tuesday evenings for Rookie Duplicate, where spectators are always welcome. The game starts at 7pm; please arrive 10 minutes ahead of game time to get settled in. The complete and current schedule for Rookie Duplicate games and the beginner lessons can be found by visiting our webpage -- then follow the link for "Schedule and Results." Questions? Send an email to SeattleBridgeCenter@gmail.com or leave a message for David at 206-336-3428.